Partners of IFCM have been providing quality construction management & inspection services to the oil and gas industry in Alberta since 2004 primarily focused in the Fort McMurray region along with southern Alberta. We have amassed a wealth of experience in that time frame and bring creative, innovative solutions to the boardroom and workplace. Our highly trained Red Seal Ticketed workforce focus on workplace safety, quality & productivity. Safety and Quality are vital components of our business to ensure the end product of our services meets the most rigorous safety legislation, governing codes, specifications and demands of this industry. 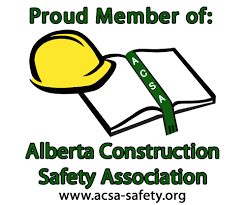 The Safety program we have in place has received a Certificate of Recognition in accordance with the Alberta Construction Safety Association. Our Quality Control program is registered with the Alberta Boiler Safety Association and the Quality Management System is developed in accordance with International Standards ISO 9001:2015.